Good video tutorial on “Performing disaster recovery with RMAN”. I have a question for you… What if the destination mount points are different? How the RMAN Performance the recovery with different destination mount points? Awsome tutorial! Very comprehensive and very well commented! Loved it! Can´t wait for the next one. Thanks Kamran for your reply. This rman backup has to be restored on a remote server with different mount points. How this can be carried out? Please provide steps. Just want to know when is your Oracle Backup and recovery book will be available in the market. I really want to buy that book. I would like to get your feedback on the flashback archive (total recall) feature on 11gR2. I am trying to test it on 11gR2 on linux x86-64 and it is not working. The documentation does not demand any special setting on the database or init parameters. All I am doing is to create a tablespace, create a flashback archive and put a table under FBA mode. First of all the history tables are not being created. Then the FBDA background process dumps ORA-00942 error trying to find out the “supposed to be available” history tables..
Have you tested this on single instance and RAC? On a single instance, this seems to take a while to create the history tables. Only after performing DML activity on that table,the tables are created. Do you have any insights? Any help would be appreciated. Have you read my article on Flashback Data Archive? Yes, I did see that. Would you tell me what was OS you tested on? I tested on a single instance 11gR2 and it created those history tables after a while. But it did create those tables. When I tested on our development environment which is a 3 node RAC, it is not at all working. I have a SR open on this issue and awaiting response. Did you observe the SYS_FBA tables as soon as you put your tables on FB mode? There is definitely an issue here. Please let me know your observations on this. Well ,I visit your video blog its very useful .. Thank u So much for your valuable effort . Keep uploading interesting things Even i forwarded the link to my all friend who r all career related to Oracle. 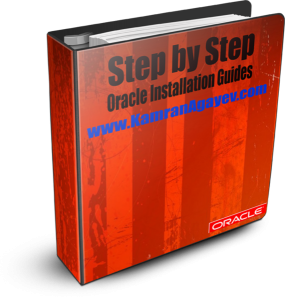 Hello Kamran Sir, thank you very much for these awesome informative videos of Oracle ASM and Grid control. Appriciate your help for posing these videos as always. I was wondering if you have any Performing Disaster Recovery with RMAN tutorial for windows. Looks like the one you have is in linux. Sorry if this is an ignorant question. I am Lekha from India.I am very much interested in learning oracle dba stuff.As I am a newbie for this domain.I request you to suggest me some topics where I can start up and also I request you to provide me some links or documents where I can learn the basic things. Thank you.Thankx a lot for the reply.I have one doubt using SQL Loader .How to upload xml files data using sql loader? I have oracle 10gR2 in my system using VMWare I installed it.Now I wanted to upgrade that from 10g to 11g release 2.So,I request you to please provide me the steps of upgrading from 10gR2 to 11gR2.? Thanks for your time & splendid work which is highly appreciated, Keep it up. AND STEP HOW TO INSTALL IF VIDEO IS THERE IT IS GOOD FOR ME PLEASE LET ME KNOW I M WAITING TO YOUR RESPONSE. WHAT IS THE BASIC REQUIREMENT FOR THAT ,IF BOOK IS THERE IT IS GOOD. Check my blog. I’ve a step by step tutoril on this which consists of 150 screenshots! Kamran your doing a good job,God bless your work if you believe in HIM! fastly with the video tutorial. i have done everything possible but could not get one. Hello kamran , i saw your side that is very fantastic and clearly define regarding rman. 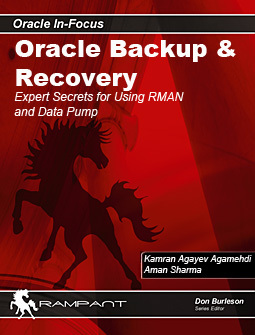 Kamran i have a facing problem regarding rman backup and recovery oracle 9i. Can you help me. If you help me i would thankful to you. Please reply me and give me some issue solution. Thanks for uploading such a nice VT.
could u plese upload a video or provide any document related to Full Database Reorganization. I must say your blog is much useful. I have some questions. 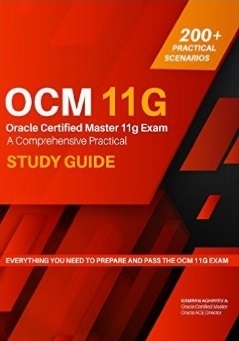 Can u please tell me how can i learn managing oracle 10g on linux and oracle 10g RAC? I am trying to create partitions on redhat 5 which i have installed in virtual box for practice.can u please tell me how can i accomplish this? OCP. Level. I love Oracle So much. can u please tell me that how can i get the practice scripts for 10g admin 1 and admin 2(the one which are given in practice after each chapter) ? I am new to oracle world , i want to become Oracle DBA, so how should i start and how should i prepare for it . plz give me some useful material and videos to get knowledge. Great work … Thanks a lot for taking effort .. keep it up ..
Can you please post the videos for the below topics. I would be more happy to follow your blog as it gives immense energy and confidence when we listen your videos and articles. thanks you very much for your very very useful of video tutorials….. i have gone through with creating duplicate with RMAN…. i could manage to clone 9i to 9i but the major consign is we have oracle ebusiness suite 11i backed is 9i…..so when I resnchronize clone using RMAN the login does not displayed. kindly please suggest any i would appreciated you help. I am getting the following error. Do you know why? It is working fine now. The issue was that I was ftping the files as another user and “oracle” user did not have read permissions on those files. Once the permissions were set right it is working now.. Thanks for your great tutuorial. I would request you to upload videos for oracle 10g architecture concepts … Hope u will do it!! pls tell me when it will be available, as m learning oca now..
i request you to upload dba architecture videos as m doing oca certification 10g.. pls help me out on this.. This is Raj Gupta, I have around 2 years exp. as Oracle DBA. Currently I am associated with Wipro Ltd.. Hope you heard that name? Thanks a lot for this effort I like your all valuable video of Oracle video tutorial.. Sir Now I want to install Oracle RAC system in my home computer for the same I have checked your site I got one of the link for the same and I am trying for the same. Sir I would like to request you if you have any video for Oracle RAC installation On VMware (Linux) then I please share with on your blog/site. i followed your Instructions for “database converted” i modified converted database and modified successfully but when i try for sqlplus it gave me error command not found,i have fresh linux there is no database installed before. do i need to install database for db_1 directory or we can use the converted database? plz looking for more help. I really like your all video tutorial. It’s really very good. Could you please upload a RAC installation and configuration video. Many Thanks Kamran.. I really appreciate your knowledge in Oracle Field :). From this blog we all are benefited.. And really this is the best blog I ever seen. I want to know that is there any book or full tutorial on ORACLE FORMS9i/10g/11g into your site where each thing get understand with good graphic..kindly confirm as I’ve some books on forms/reports but they are not so useful for me to do the well work on D2K and for clearing interview…Kindly reply with best book or tutorial….I’ll be very regardful for u….Thanx…. I’m a great fan of yours as the videos provided by you helped me a lot. I want to know configuring RAT(Real Application Testing) on Oracle 11g. If you have any link or material that works then would be great help. so please will you share how to install oracle 10g on RHEL 6 ? Have you checked my video tutorial and step by step article? Oracle Middleware Architecture authentication and authorization for the users? I’m new to Oracle based applications and I have been assigned a project to understand company’s authorization process which comprises mostly of Oracle based applications. 1. Understanding of Oracle middleware architecture – authentication, authorization, Application User Privileges. But due to number of application and different versions of applications I’m not sure where to begin with. Where do I start considering no prior experience with Oracle based applications? hi kamran. I want to install rhel 5.0 on my laptop.I am using Vmware workstation.At the same time i want to install oracle 10g r 10.2.0.So can u suggest me how may mount points are required for installing oracle. pls tell me abt this also.how many mount points are required for linux? how much space should i reserve for each mount point?.What are the rpms required for oracle 10g installation. few days back when i am trying to install oracle 10g, i created a oracle user.But whn i log in to the system the prompt i am getting is bash 3.1$.I am not getting a oracle user prompt directly.In this prompt whn i issue any command it is throwing an error as Permission denied.Please tell me a solution for this problem. when i am going to login from oracle user on my REDHAT LINUX5, following error appeared. your videos are really awesome and if by any chance do you have any videos related to performance tuning would be really helpful sir. Great Work Kamran !. your videos are blessings !. Please post a Video of Oracle 11gR2 RAC configuration. Can you please post video for 10gR2 RAC(I see the screen shot, then you also have the video) and 11gR2 RAC Installation and configuration for OEL5. you are such a great man.welldone for the good work u’v bin doing.Pls can you do something like video on RAC? Nice article. Expecting more video tutorials from you. Especially from High Availability options and Tuning. Excellent .. May Allah Bless you with more knowlege. ut would be helpful if you can tel me how to download these videos for future references. your postings are really superb and very very helpful. thanks a lot and keep update this will be very use full newbies. Oracle DBA öyrənmək və bu sahədə karyera qurmaq üçün My/MsSQL və ya digər yardımçı proqramlar öyrənməliyəm? Sizə işinizdə uğurlar,ALLAH elminizi artırsın.Amin. Thanks for your videos. Where will I get audio files for Oracle 11gR2 RAC (Installation/Administration/Maintenance)?. I like to hear the audio files when I am driving. In Dubai, most of the times we struck in traffic, hence audio files are useful for the guys like me to listen peacefully. Kindly advise ASAP. Saw your ASM on 10R2 installation, that was absolutely perfect. Need To install 11gR2 ASM and Grid on Linux. Expecting more vidoes on High Availability options and Performance Tuning. It’s possible to change the DB name after the installation but under certains conditions. What are those conditions exactly?